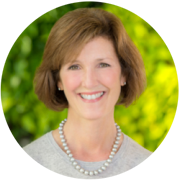 Heather Wood is Vice President, leadership developer & facilitator, and executive coach with MCG Partners, a women-owned consultancy specializing in leadership and talent optimization. With more than 20 years of experience in engaging all levels of leadership across multiple business sectors, Heather draws from her experience and insight training hundreds of managers globally. Heather coach’s executives in leadership strategy, communication style, team building, performance management, conflict resolution and career development. Heather is also an accomplished designer and facilitator of customized interactive management workshops. A Harvard Business School executive coach, Heather provides coaching and advisory services to attending global executives. In addition to MCG Partners’ management training programs, her other training content includes Situational Leadership, InsideOut Coaching, Thomas Kilmann Conflict Mode (TKI) and Lominger Leadership Architect. Heather’s industry areas of expertise include financial services, software development, bio-pharmaceutical and health and human services. When not at work, Heather volunteers as a mentor for Babson College MBA students as well as for the Social Innovation Forum. Additionally, Heather is an active member of the Boston Facilitators Roundtable. She lives with her family outside of Boston, MA.